100% Destilado de Agave Espadilla of the highest quality. As a matter of fact there are about 200 species of agave plants, more than half of these are found only in Mexico. What do all these agave liquors (e.g. Mezcal, Tequila, Raicilla, Bacanora) have in common? 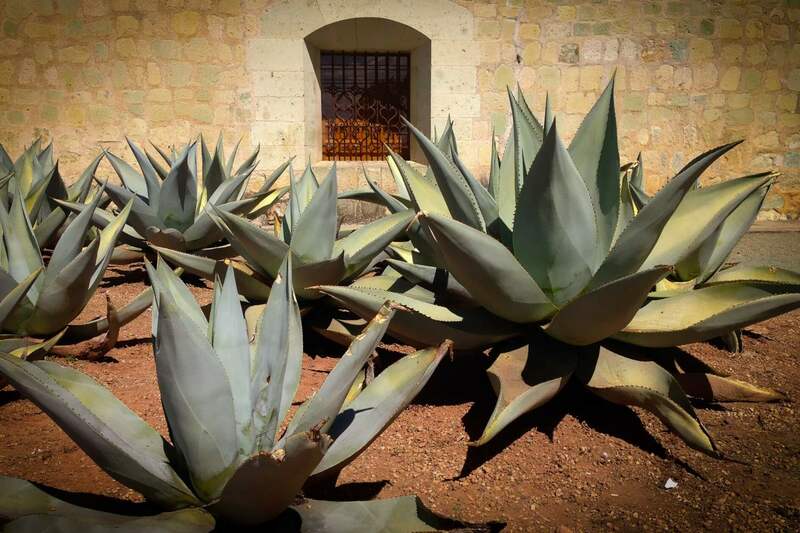 They all come from cooked agave and each one has a distinct personality depending on the agave species, region, climate, soil, cooking, and distilling method. Despite this common ground, there are important differences within the production process, resulting in three liquor categories: industrial, artisanal and traditional. Yes, our MZCL (which comes in an exclusive "Salt & Silver" cooperation design) is 100% traditional. But what does that mean? Let's begin with the opposite: Industrial processing. Industrial products bascially stand for "excessive production" in any possible way: Handwork is subsituted by machines and the agave is exploited. This approach is what many large companies use to achieve a more substantial turnover and a maximum in "shareholder value" - no matter how far these techniques are from traditional treatments and no matter how negative the consequences for farmers and nature might be. Then there are artisanal products. They stick mostly to traditional processing in many ways, but their producers have modernized certain techniques and tools in order to get a larger production. Nevertheless, hand work is still present in a fair part of the process. And finally you can find Traditional products - like our MZCL. Even nowadays traditional products stick to historical methods and consumption traditions: One hundred percent of all actions are performed by manual labor. The production is also limited because Agave’s natural cycles are being respected in order to avoid over-exploitation. Traditional producers and farmers see Agave products as a spiritual component of Mexican tradition and culture, directly connecting their life with nature through respectful treatment of nature's resources. In the end, Dr. Sours handcrafted and traditionally produced MZCL comes with an outstanding flavor resulting from the Espadilla´s caramelized agave hearts or piñas. Beginning with the very first step, during the agave harvest throughout the whole manufacturing, cooking and distilling process up to filtering, bottling and labeling, all steps are soul and hand made in Mexico. Therefore every bottle of Dr. Sours MZCL can be seen as a delicious witness of Mexican cultural distilling and manufacturing art. With our MZCL we eradicated the "e" and the "a" from MeZCaL. "e" as in "exploitation and "a" as in "artificiality". We reduced it to the historical essence of Agave liquors. First of all we suggest to take a look at our online catalogue for detailed descriptions including specific ingredients and details regarding alcohol volume or package size. Thereafter please use our contact form to request a delivery or for any question you may have. No matter where you live: We will address your request as soon as possible. "Para todo mal MZCL, y para todo bien también"